Claudia Carr is senior lecturer in medical law, University of Hertfordshire, UK. The judgment in Montgomery v Lanarkshire (Scotland) 2015 introduced a new definition of informed consent which has implications for all healthcare professionals. This article focuses specifically on the implications for pharmacy practice and patients with learning disability. During consultations, both pharmacist prescribers and non-prescribing pharmacists must adhere to the provisions of the judgment to ensure patients provide informed consent. Particular issues arise where patients with learning disability are concerned because the Accessible Information Standard (AIS), which came into force in England in August 2016, must also be considered. Consequently, easy-read material should also be of a standard and quality relevant to that particular individual. In addition, this article will briefly consider whether information should always be disclosed. Keywords: Accessible Information Standard, easy-read material, informed consent, learning disability, Montgomery v Lanarkshire, pharmacy practice, therapeutic exception. Original submitted: 20 July 2017; Revised submitted: 25 September 2017; Accepted for publication: 25 September 2017. A recent article by Barnett and Sokol outlined the judgment of the Supreme Court in the Montgomery v Lanarkshire Health Board (Scotland) 2015 case,. Their article focused on the sea change in information disclosure to patients from healthcare professionals, which confirmed both previous case law and the General Medical Council (GMC) guidelines and which puts the patient at the heart of the decision-making process, where “patients are now regarded as persons holding rights, rather than as the passive recipients of the care of the medical profession”,,. The judgment in the Montgomery v Lanarkshire Health Board case has implications not only for non-medical prescribing pharmacists, but also for the wider practice of pharmacy consultations with patients, including those with learning disability. This article will consider, in the light of the judgment in Montgomery, information disclosure within pharmacy practice for patients with learning disability. It will consider this against the background of the Accessible Information Standard (AIS), introduced in August 2016 in England, which applies to all providers of adult health and social care. Provisions differ only slightly for Scotland, Wales and Northern Ireland,,. Finally, this article will also consider whether pharmacists may, with increasing frequency, rely on “therapeutic exception” in circumstances where creating a climate of informed consent with patients who have learning disability and complying with Montgomery will lead to concerns that such information will potentially affect psychological and/or physical health and wellbeing. This article focuses only on patients with learning disability who have capacity. It is important to remember that having a learning disability does not mean that a patient lacks capacity to consent to medical treatment, and the presumption of capacity, which can be rebutted, is enshrined in the Mental Capacity Act 2005 [MCA]. In Scotland, patients who lack capacity are treated under the Adults with Incapacity Act 2000. Equally, when a patient refuses to be treated or makes an unwise or bizarre decision, it does not mean that the patient lacks capacity per se, although there is a fine line to be drawn between respecting a patient’s bizarre decision to refuse medical treatment and situations that represent a “misconception of reality”,. Montgomery rejected, in its entirety, the Bolam standard of care in information disclosure, which, when applied, stated that a healthcare professional would not be negligent if they are “acting in accordance with such a practice, merely because a body of opinion takes a contrary view”. Therefore, prior to Montgomery, if a pharmacist failed to disclose a specific risk but their opinion was supported by a body of similar opinion, they would not be negligent even if there was a body of contrary opinion. The test outlined above has now been rejected by the decision in Montgomery, which puts the “ordinary sensible patient” at the centre of the decision-making process, thus empowering the patient to engage with medical treatment. The judgment now imposes a duty on all those who treat patients in the healthcare sector, including pharmacists, to “take reasonable care to ensure that the patient is aware of any material risks involved in any recommended treatment and of any reasonable alternative or variant treatment”. Only once this is achieved will a patient be able to provide informed consent to treatment. According to the MCA, provided that a person can understand the information relevant to the decision to be made, retain that information, use the information as part of a decision-making process and communicate their decision by any means, that person is deemed to have capacity. Moreover, the MCA is explicit that any decision regarding capacity should not be based on a person’s appearance, whether they appear dishevelled or may display characteristics of a learning disability, for example a person with Down’s Syndrome. Factors such as their appearance, long-term health conditions and any aspect of their behaviour is not relevant to the decision as to whether a person has capacity, provided the criteria outlined above can be met. Where a patient lacks capacity, and is unable to be part of the decision-making process regarding their treatment, pharmacists need to act in the patient’s best interests as defined by section four of the MCA. There is a duty to enhance capacity by providing sufficient support where capacity is questionable. Where capacity cannot be achieved, the MCA provides a statutory checklist of factors to be considered when deciding on behalf of someone unable to make decisions for themselves, which includes doing everything possible to encourage participation, consulting others (including relatives and carers) and considering all relevant circumstances. Although the focus here is on informed consent and mental capacity, issues where there is a lack of capacity about taking medication ought to be expanded on, including covert administration of medicines. This relates to medicines administered in a disguised format without the knowledge or consent of the patient receiving them, for example in food or drink. It is unlawful to administer medicines in such a way unless certain criteria have been satisfied (e.g. an assessment of mental capacity and best interests meeting have been undertaken, and a management plan developed). Before going down the route of implementing a covert management plan, the reasons behind the patient’s refusal to take medication needs to be explored. This is beyond the scope of this article, but pharmacists should consider if this is related to lack of accessible information, medicines consultations with inexperienced staff and whether the refusal to swallow medicines is actually related to the patient having trouble swallowing. Anecdotal evidence suggests that the administration of medicines in people with dysphagia who find it hard to swallow and the need for a covert medicines management plan are at times confused by healthcare professionals, which can have legal implications. Failing to investigate missed doses of prescribed medication in a patient with learning disability, who lacks capacity, may have implications regarding safeguarding on the part of the care provider. The judgment of Montgomery ends many decades of judicial speculation about any failure to communicate percentage probability of risk by healthcare professionals, in particular, whether patients should be advised of a risk of 1%, as opposed to 2% or even 5%,. The focus is no longer on the decisions made by the reasonable doctor, as Bolam elucidated for so long, but on the needs and wishes of the sensible ordinary patient. The decision is of fundamental importance for many reasons, but should a patient decide to refuse treatment, assuming the provisions of Montgomery have been adhered to, the patient inherently accepts the responsibility for the consequences of their decision. Admittedly, the judgment is not as revolutionary as it first appears, as the GMC’s guidance clearly puts the patient at the heart of the decision-making process. The GMC provides best practice guidance for interactions between doctors and patients and was referred to on several occasions in the Supreme Court. The emphasis is on working in partnership together, a principle that has reflected patient autonomy for several years. The GMC guidance states: “The doctor explains the options to the patient, setting out the potential benefits, risks, burdens and side effects of each option, including the option to have no treatment. The doctor may recommend a particular option which they believe to be best for the patient, but they may not put pressure on the patient to accept their advice. The patient weighs up the potential benefits, risks and burdens of the various options as well as any non-clinical issues that are relevant to them. The patient decides whether to accept any of the options, and if so, which one”. Later guidance states: “Work in partnership with patients. Listen to, and respond to, their concerns and preferences. Give patients the information they want or need in a way they can understand. Respect patients’ right to reach decisions with you about their treatment and care”. Guidance from the General Pharmaceutical Council (GPhC), the regulator for pharmacy, has recently been updated and refers to person-centred care and the need to engage with patients. However, it makes no reference to the Montgomery standard that should be adhered to, unlike guidance from professional bodies, for example, the Royal College of Surgeons. In reality, paternalism in professional practice was consigned to the history books back in 2004, when the case of Chester v Afshar declared that doctors were under a duty to advise of a 1–2% risk of a serious outcome, which could transpire even when the surgery was correctly carried out. In this case, the claimant, Mrs Chester, sustained significant nerve damage despite a correctly performed operation where there was no negligence. Chester’s claim lay in the fact that she had not been informed of the 1–2% risk of nerve damage resulting from this procedure, even when performed correctly. Chester alleged that had she been informed of the risks, she would not have had the operation on that specific day, even though she accepted that she would more than likely have had the operation on another day. The court said the doctor was under a duty to advise her of the 1–2% risk of a serious outcome of the operation as the duty “enable(s) adult patients of sound mind to make for themselves decisions immediately affecting their own lives and bodies” and that a patient was entitled to information which could have any effect on their lives. Self determination, the ability to decide for oneself once fully informed, was described as the duty which “enables adult patients of sound mind to make decisions immediately reflecting their own lives and bodies”. The court went further by stating that “in modern law paternalism no longer rules and the patient has a prima facie right to be informed by a surgeon of a small but well established risk of serious injury as a result of surgery”. The duty to inform patients of risks applies equally to pharmacists in practice, but the position of the patient with learning disability with capacity to make decisions about their treatment should be considered. The reasonable alternatives, so that the patient can make an informed decision. However, the judgment continues by stating that “ the role will only be performed effectively if the information provided is comprehensible” and the duty “will not be performed by bombarding the patient with technical information which she cannot be expected to grasp”. Where patients with learning disability are concerned, this part of the dictum of the Montgomery judgment is of particular interest and needs to be read in conjunction with the Accessible Information Standard (AIS) which came into force for all publicly funded providers of adult health and social care in England in August 2016. The AIS is defined as “information which is able to be read or received and understood by the individual or group for which it is intended” and aims to ensure that people who have a disability or sensory loss receive information they can access and understand together with any communication support they might need, which could be in the form of easy-read material or verbal communication. Continued compliance of the AIS is a legal duty under section 250 of the Health and Social Care Act 2012. This act is only in force in England. It states that adult social care “includes all forms of personal care and practical assistance provided for individuals who, by reason of … disability … or other circumstances are in need of such care or other assistance”. The AIS conforms to and supports the Equality Act 2010, which is enforced throughout the UK. Under section one, when a public authority makes strategic decisions about how to exercise its functions, it has a duty to pay regard to “reducing the inequalities of outcome which result from socio-economic disadvantage”. Disability is a protected characteristic under the act, which states that a person has a disability if: P (the patient) has a physical or mental characteristic and the impairment has a substantial and long-term adverse effect on P’s ability to carry out normal day-to-day activities. Furthermore, a person is discriminated against, if because of this protected characteristic, they are treated less favourably than someone without this protected characteristic. The AIS, if fully implemented, should ensure that any person with a disability is not disadvantaged or treated less favourably because of that disability. In terms of what this means in practice, the healthcare objective is a holistic approach of empowering the patient to be equal partners in their own healthcare. To achieve these objectives where the person with a learning disability is concerned, there needs to be access to information through communication suitable for that particular individual. Learning disability, as defined by the Department of Health, is a significantly reduced ability to understand new or complex information and learn new skills, and a reduced ability to cope independently (impaired social functioning), which begins before adulthood. Learning disability is a spectrum ranging from mild to profound. It can also be further affected by learning difficulties such as dyslexia and neurodevelopmental disorders such as autistic spectrum conditions. To create and provide easy-read material for patients with wide-ranging ability is a challenge, and frequently such material omits important information to make it easier to understand. By empowering patients with learning disability to be equal stakeholders in relation to their medicines and by encouraging dialogue regarding medication, pharmacists may improve therapeutic relationships, facilitating better overall access to healthcare and improving adherence to pharmacological interventions, which in turn may lead to reduced levels of morbidity and mortality. The judgment in Montgomery recognises that patients access health information in a number of different formats including the internet, patient support groups and leaflets issued by healthcare institutions. Importantly, the judgment states that “the labelling of pharmaceutical products and the provision of information sheets is a further example, which is of particular significance because it is required by laws premised on the ability of the citizen to comprehend the information provided”, but one question remains in terms of how accessible the information sheets are. 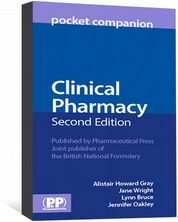 Readily available easy-read material regarding medicines provided by organisations such as the and the are free to download, but may not be regularly reviewed or updated. In addition to the reinforcement with verbal explanations by the pharmacist, it may be helpful to provide more detailed information to a relative or carer, so that they can discuss with the patient with learning disability outside of the outpatient setting, subject to the person consenting. However, to comply with the Montgomery ruling, pharmacy consultations should be patient-centred, discussing all material risks relevant to that person. The GPhC guidance on consent states that “person-centred care is delivered when pharmacy professionals understand what is important to the individual and then adapt the care to meet their needs”. This may pose a challenge where verbal communication is impaired. The AIS implementation guidance also contains helpful information regarding face-to-face communication; the identification, documentation and the meeting of needs; and supporting specific groups such as people with hearing and sight impairment. It is hoped that this discussion enables a greater understanding of the context of the Montgomery judgment in relation to patients with learning disability and the implications for pharmacy practice. Although allegations of negligence are rare in pharmacy practice, it is imperative that all pharmacists are aware of their duty under the law. However, two exceptions to the requirement to disclose information to any patient should be explored, whether the patient has a learning disability or not. One is that any patient has a right not to know. Where a patient simply tells their healthcare professional or pharmacist that they wish to be treated without knowing the risks, benefits and burdens of treatment, this wish must be respected and in these circumstances, the pharmacist would be released from any duty of information disclosure. The Montgomery judgment may also raise an important conundrum regarding therapeutic exception. Therapeutic exception (which survived Montgomery, albeit in a limited form) is defined as withholding information from a patient where a healthcare professional believes that disclosing the information would lead to the patient suffering clinical harm. The decision whether to withhold specific information falls within the pharmacist’s discretion, replacing patient autonomy with paternalism. Therapeutic exception is a defence to the healthcare professional’s duty to disclose information to the patient. The judgment explains that information can be withheld from a patient if disclosing that information “would be seriously detrimental to the patient’s health”, emphasising that the therapeutic exception should not be abused: “It is a limited exception to the general principles that the patient should make the decision whether to undergo a proposed course of treatment: it is not intended to subvert the principle by enabling the doctor to prevent the patient from making an informed choice where she is liable to make a choice which the doctors consider to be contrary to her best interests”. There are currently no data that relate to the propensity of pharmacists withholding information where they consider their patient may be at risk. However, it may be reasonable to suggest that, where pharmacists comply with Montgomery, there may be an increased reliance on this little-used defence to information disclosure. How ethically acceptable is therapeutic exception? If pharmacists seek to balance the ethical principles of beneficence (doing good) with non-maleficence (not doing harm), consideration should be given to where the greater harm is caused. Is depriving the person with learning disability of their autonomy by refusing to disclose risks that cause harm acting beneficently by not doing harm? Or is the greater harm caused by failing to disclose benefits and risks of medication, depriving the competent, albeit vulnerable, patient of their autonomy? This may come down to clinical judgment, where a pharmacist considers that it would be so detrimental to the health of their patient that this justifies withholding that information. But this exception should not be abused. The harm must be of a nature where disclosure of information relating to the patient’s medication would cause the patient to suffer mental or physical harm. However, information should not be withheld from a patient simply because the pharmacist is concerned that the patient might refuse treatment which the pharmacist considers to be in the patient’s best interests. Once again, this principle is enshrined in the GMC guidance, which states that: “You should not withhold information necessary for making decisions … unless you believe that giving it would cause the patient serious harm. In this context ‘serious harm’ means more than that the patient might become upset or decide to refuse treatment”. The defence of therapeutic exception is little known and little used, but perhaps there may be a unique risk of reliance on therapeutic exception where a capacitous patient with learning disability is concerned in that, in acting with the best of intentions, it can wrongly deprive the patient of their autonomy and self-determination to participate in the decision-making process. In summary, pharmacists should reflect on how they disclose information about medicines to people with learning disability. People with learning disability, who are deemed to have capacity under the MCA, must be treated in the same way as everybody else in terms of medicines information disclosure. 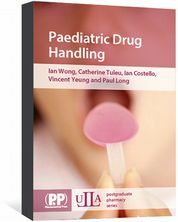 The quality of easy-read material is variable and pharmacists need to be aware that information in such leaflets may fail to include all material risks, which could potentially have legal implications. Reliance on therapeutic exception is not part of routine clinical practice and therefore must be given careful consideration. It may take time in terms of policy change within healthcare provision, process and most of all inclination in the healthcare setting to ensure that equality for people with learning disability is achieved and truly informed consent to treatment can be given. The judgment in Montgomery puts the patient at the heart of the decision-making process. The judgment applies equally to pharmacists as to any healthcare professional. Where patients with learning disability are concerned, the information must be comprehensible and the duty to disclose information must be provided with the Accessible Information Standard in mind. Patients with learning disability must be empowered to be equal stakeholders in the decision-making process. Therapeutic exception, a defence to non disclose may be increasingly relied on, where patients with learning disability are concerned. Barnett N & Sokol D. Why pharmacists need to re-evaluate what information they provide to patients. 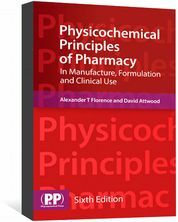 ClinPharm 2017;298(7897):online. Mr Justice Charles. NHS Trust v T . Adult patient: refusal of medical treatment. EWHC 1279 (Fam). Mr Justice McNair. Bolam v Friern Barnet Management Committee . 1 WLR 582. Kelly-Fatemi B. Covert administration of medicines in care homes. 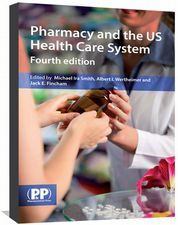 Pharm J 2016;297(7893):online. Barnett N & Parmar P. How to tailor medication formulations for patients with dysphagia. 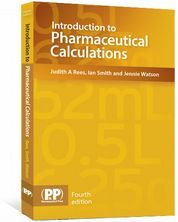 Pharm J 2016;297(7892):online. Sidaway v Board of governors of the Bethlem Royal Hospital and the Maudsley Hospital 1985 1 AC 871. Pearce v United Bristol healthcare NHS Trust 1998 48 BMLR 118.